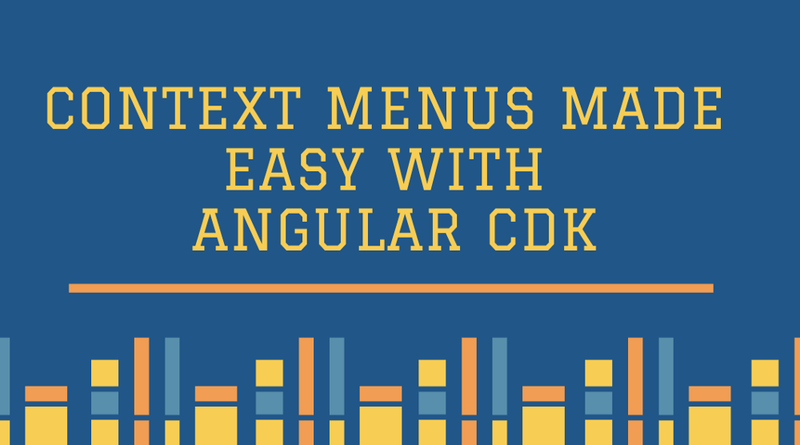 With the new release of the Angular CDK (v7.3.0), the overlay position strategy gets a new cool ability that we can use to help us create context menus with ease. In this article you will learn about Progressive Web Applications (PWA), particularly the process to convert your Angular app into a PWA. PWA is an option used to make regular web applications act like native apps on Android, Windows, Chrome OS and more. Progressive Web Apps are not a new technology, but lately, they are getting much more attention after Microsoft announced they are supported by Windows. Nrwl’s Jeff Cross and Victor Savkin present a moderated live broadcast with tech leaders about the latest developer tools. When it comes to testing, we’ll discuss how to make it more straightforward for both developers and QA engineers. Our special guest will share insights on how Cypress.io was created and how it handles time travel, debuggability, automatic waiting, network traffic control and more. Sign up to watch and submit your questions. Angular State Management is important when it comes to web applications or web tools but some external libraries in Angular are very complicated and complex on how to implement it. Incase you haven’t heard about it yet, Kenneth Auchenberg — Program Manager on the VSCode team recently released an incredible extension to the marketplace, allowing you to run & debug not only Angular applications, but any type of application, all inside of the VSCode IDE! Recently Veronika, the author of this article, has faced a challenge of finding fully customizable and easy-to-integrate web components which can serve as embedded BI tools for analysis, reporting, and visualization in her application. And even more difficult is to find solutions that are compatible with the Angular framework and doesn’t complicate the maintenance of the application.